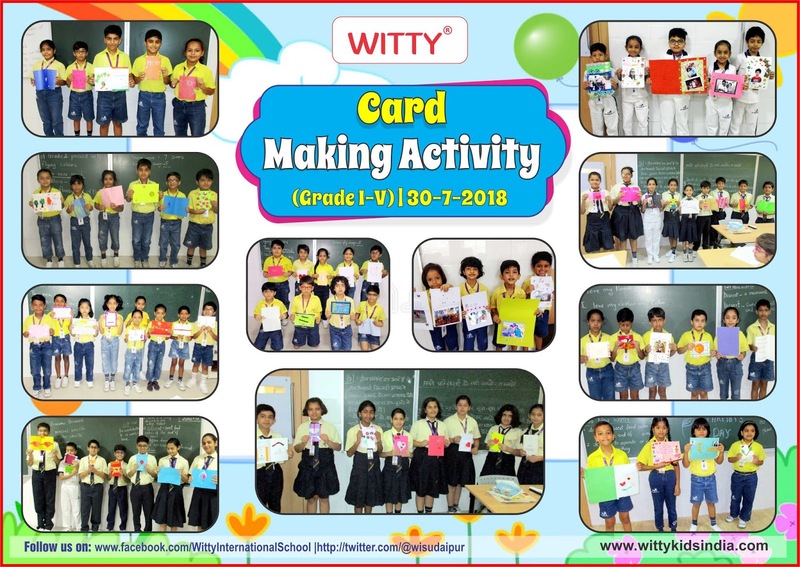 Wittians of Grade I to V enthusiastically participated in a Card Making Activity on July 30, 2018. 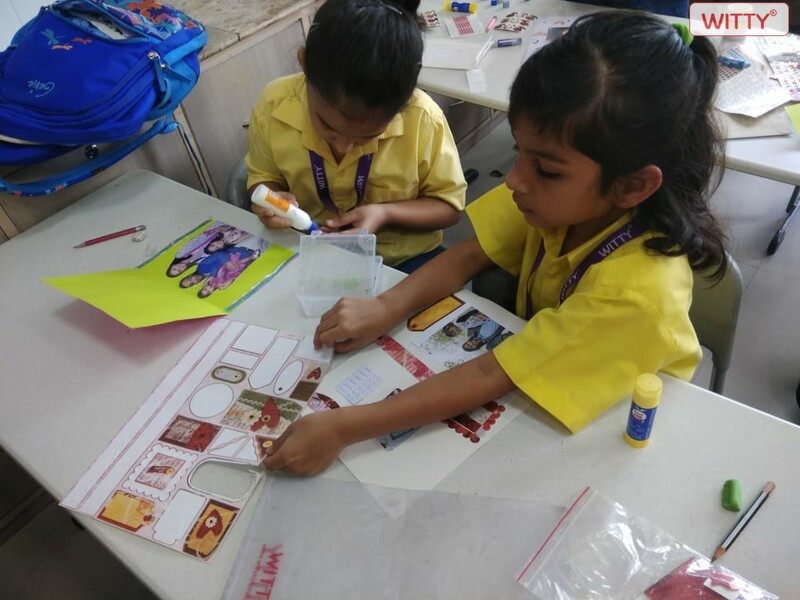 They made beautiful cards for their parents and expressed their love and gratitude towards them. 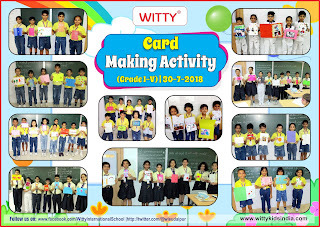 They used several innovative ideas to decorate their cards and wrote different heart-touching quotations to thank them for providing everything they have today. 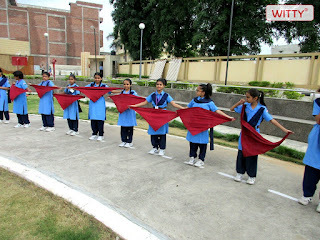 The motive behind organising the activity was to make the students understand the importance of relations in our life. 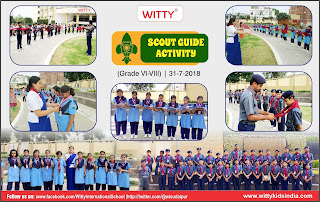 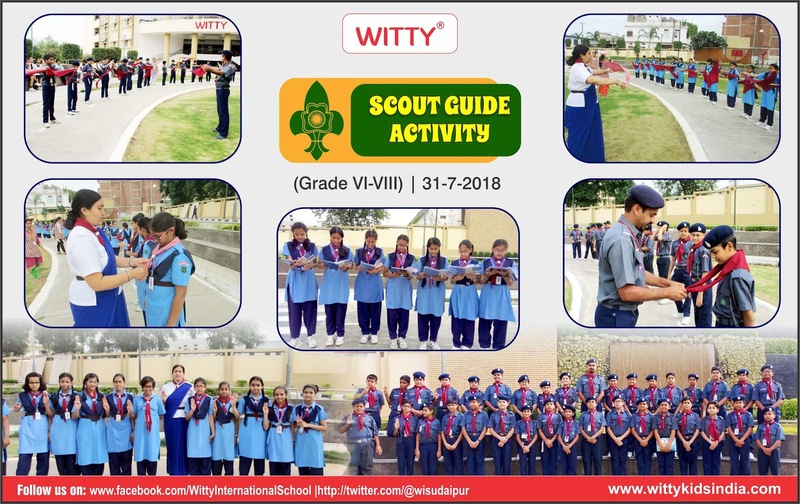 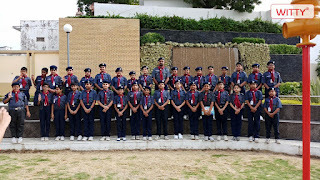 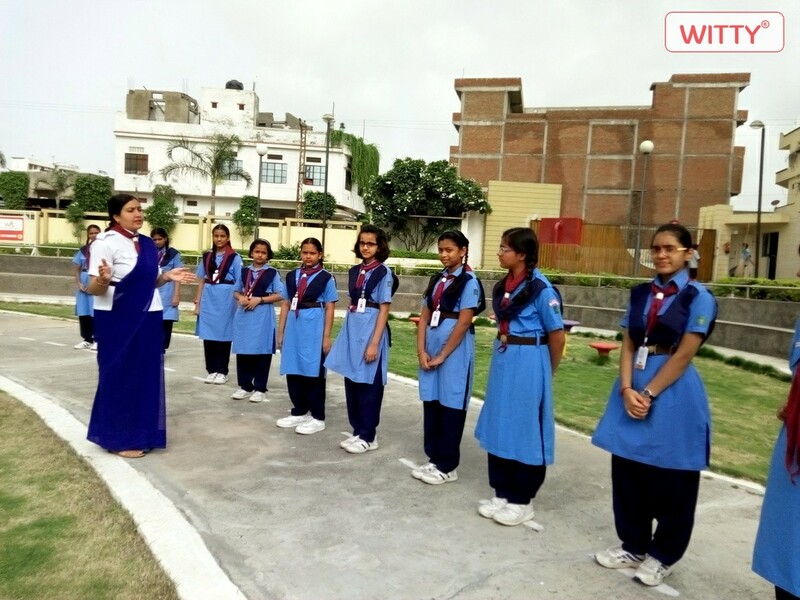 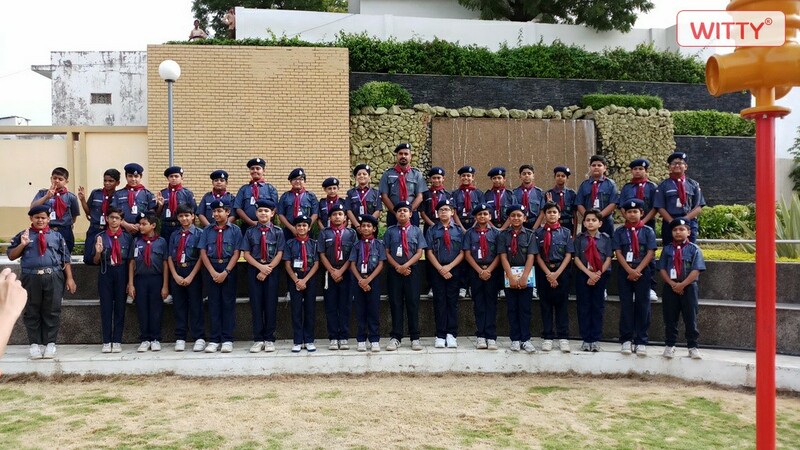 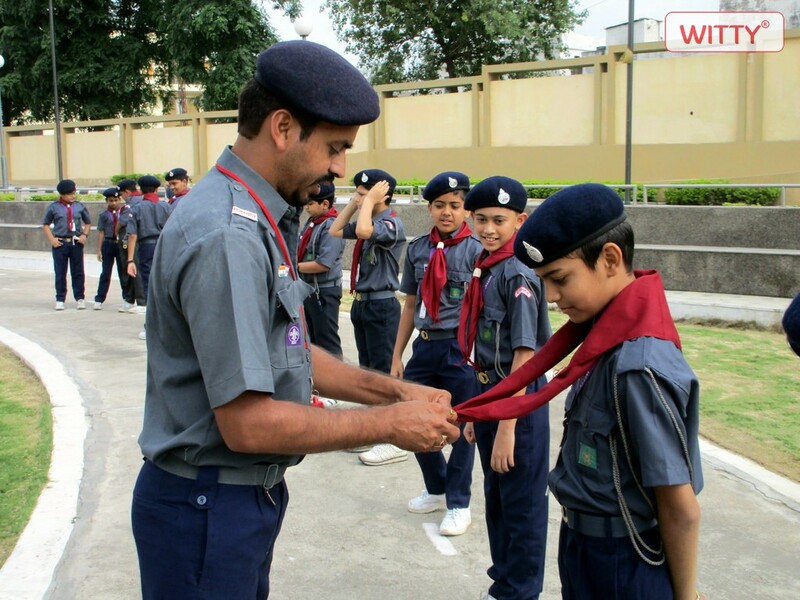 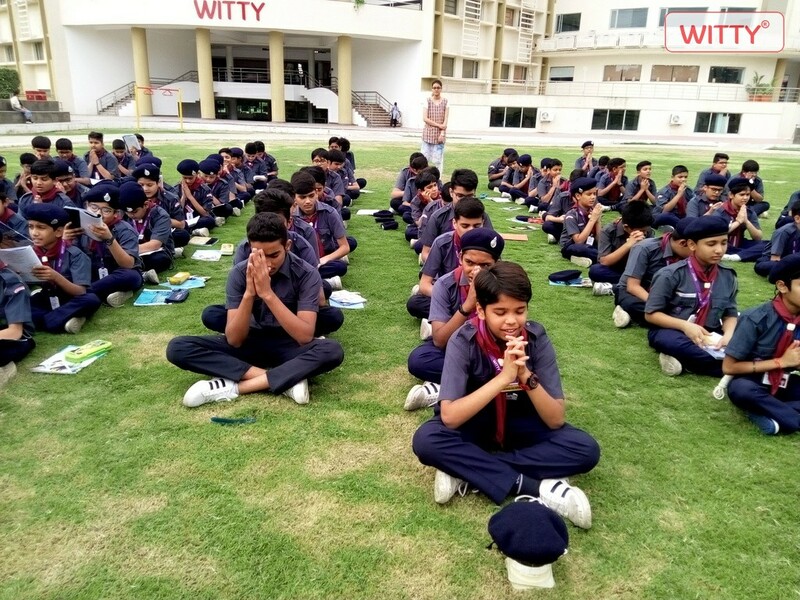 WIS, aims & strives to inculcate best in their scholars for their physical , mental and spiritual development that may play constructive role in society with the same perspective, Scout & Guide activity was conducted in the campus where in the students of Grade – VI were introduced to Scout & Guide to learn life skills & leadership qualities. Students of Grade – VII and VIII appeared for an Examination of level one ( Pratham Sopan) with sound preparation of quality themselves for becoming worthy future leaders. It is a very common and true saying that ‘Health is Wealth.’ It is thus essential to take care of our health and for this, regular health check-ups are very important. 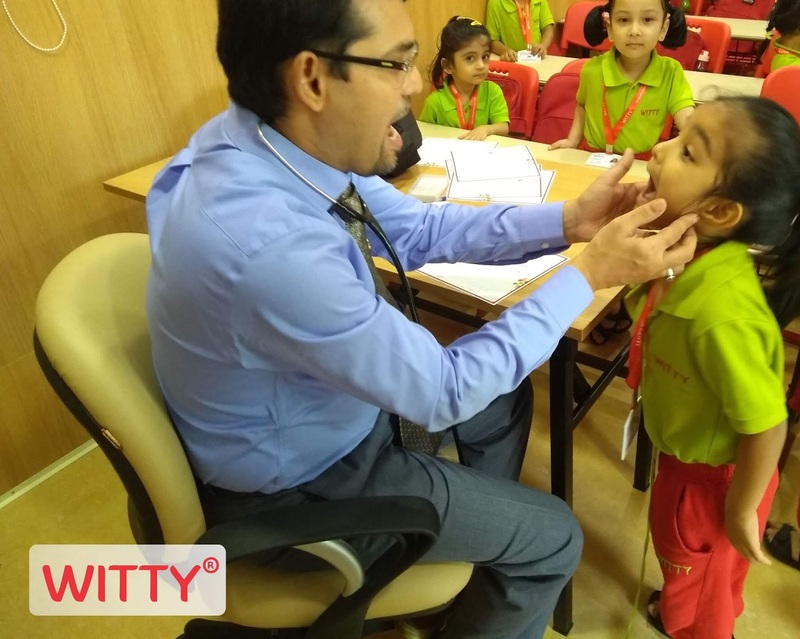 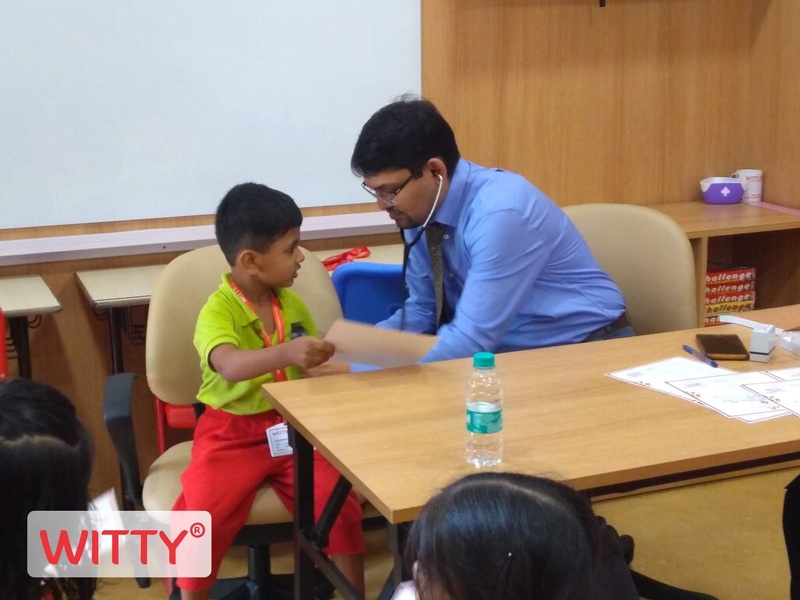 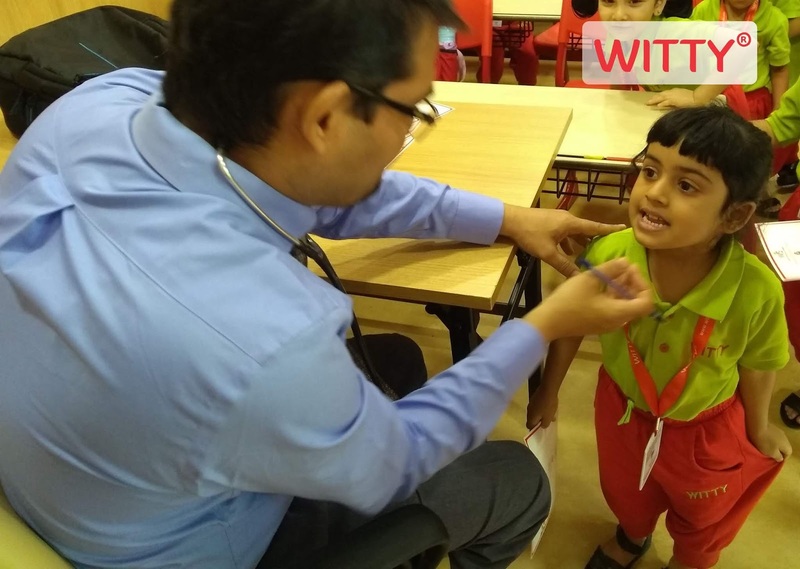 Different health check up camps were organised at Witty Kids, Chikoowadi for the learners of Jr.KG. 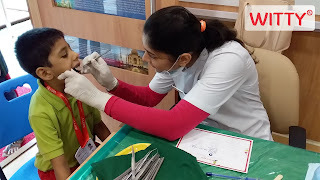 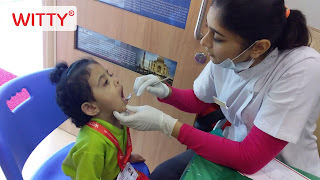 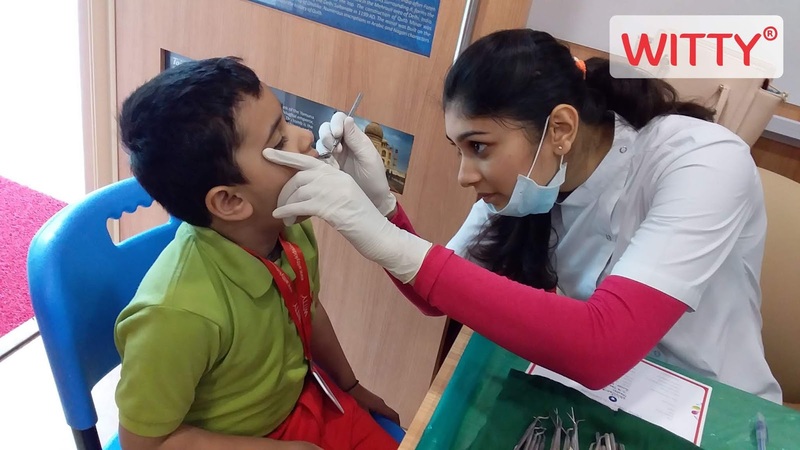 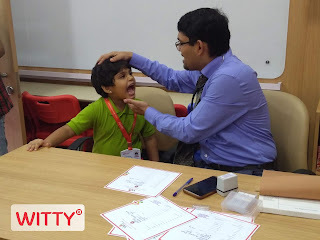 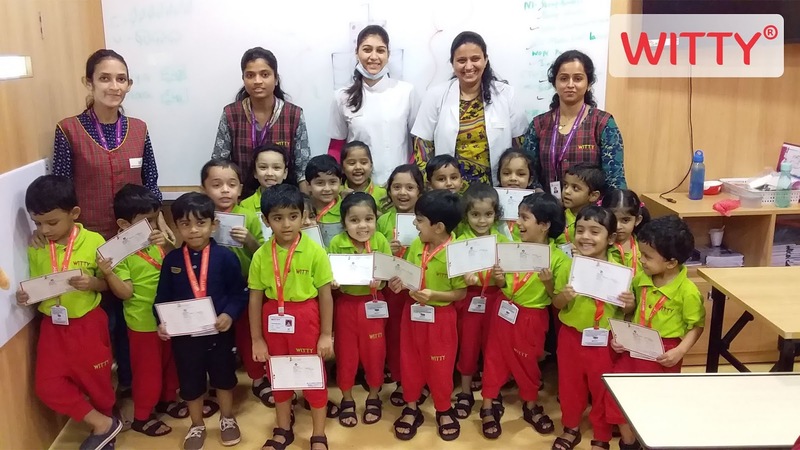 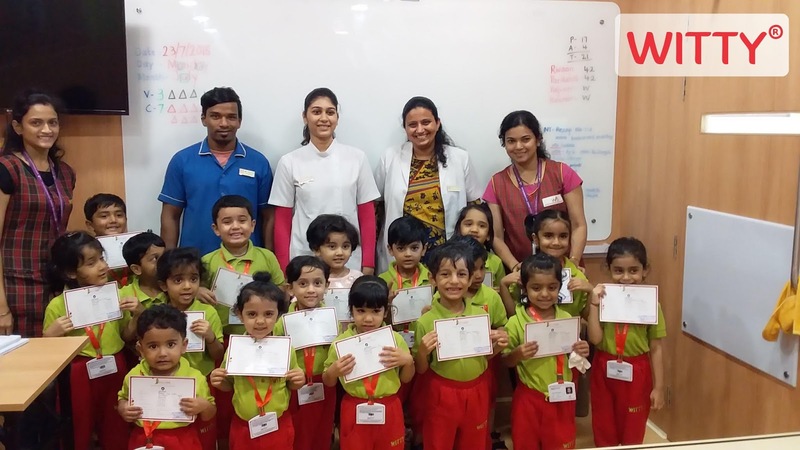 A comprehensive dental check-up camp by Dr. Dharna Parekh and Dr. Sanchi Parekh was held on Monday July 23, 2018. The dentist shared tips on good oral hygiene with the children. Total health check-up camp by Dr. Raju Gujarathi on Wednesday, 25th July 2018 comprised of physical examination of the body, height, weight, health education and reference for specialized treatment. 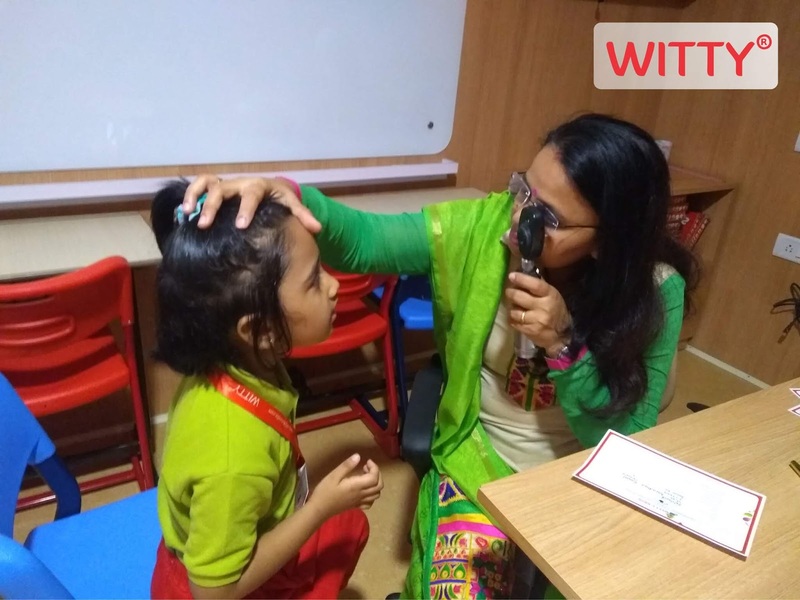 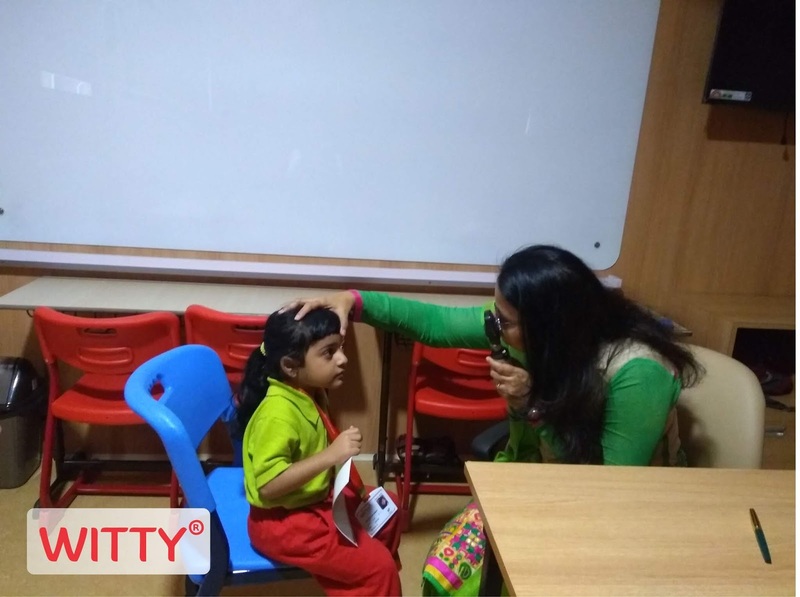 On Thursday, 26th July, 2018 an Eye check-up camp was held for Jr.KG, under the expert guidance of Dr. Jayshree Suradkar who shared her valuable suggestions. 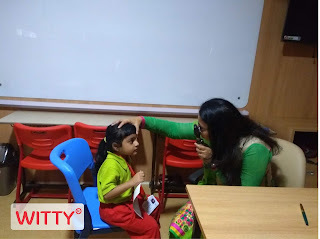 The doctor brought well-equipped eye examination tools to examine the students effectively. Wittian’s were issued certificates with suggestions for any treatment, if required. 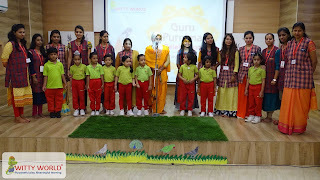 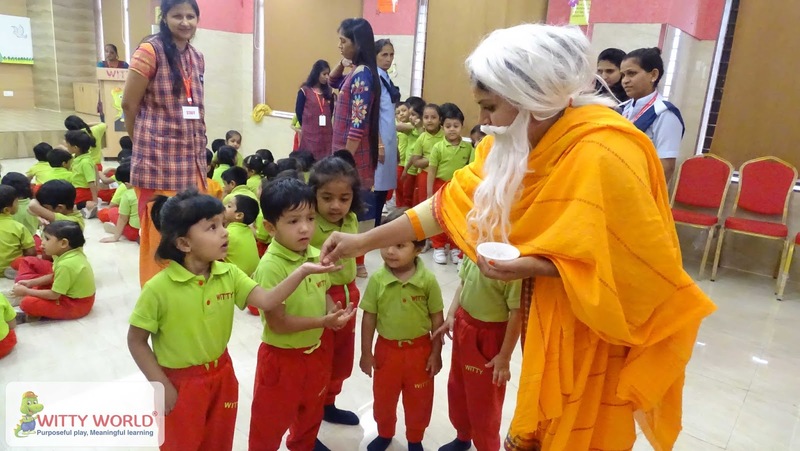 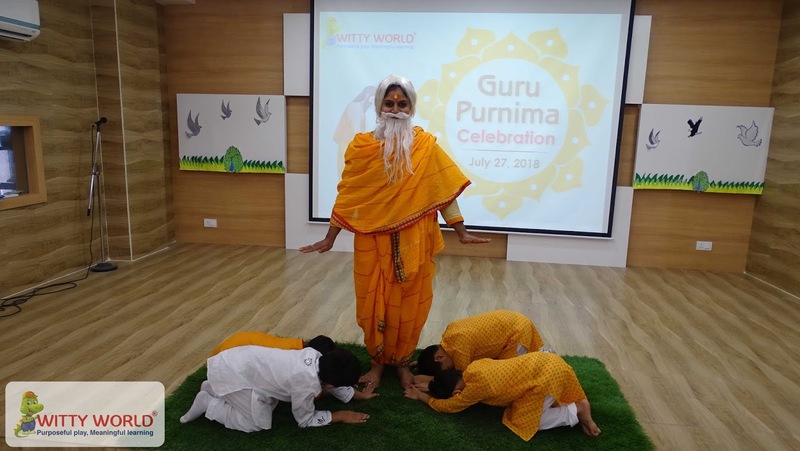 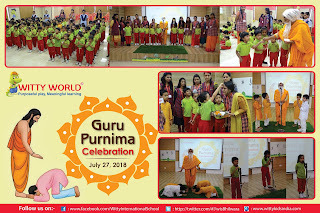 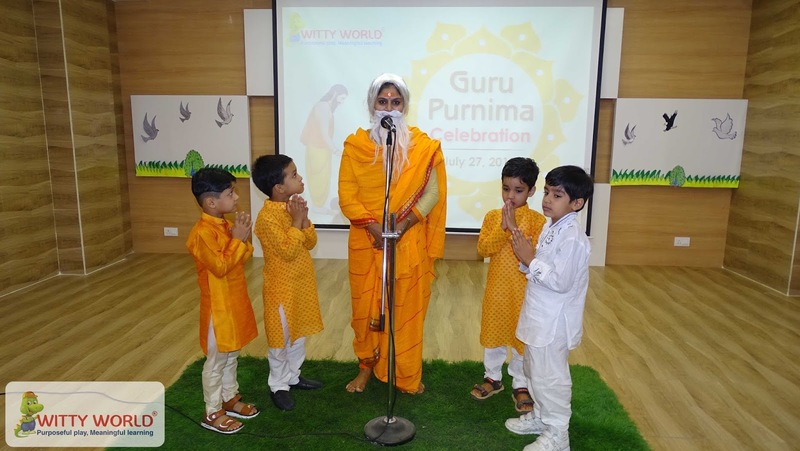 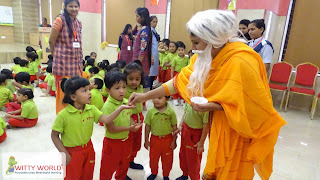 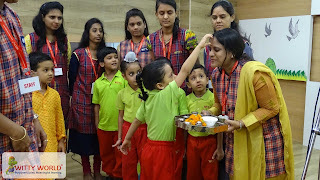 Teachers play a very important role in everyone’s life, without a guidance of teacher no person can get a right path, so to make the children fell the importance of teacher, the kids celebrated Guru Purnima. The event took place on July 27’ 2018, Friday at Sparkle in Witty World, Bhilwara. Children enjoyed the play which was enacted by one of a teacher of Witty World and students. 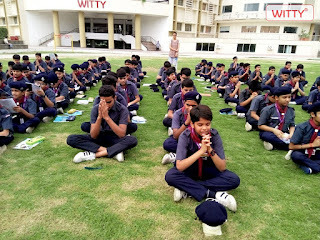 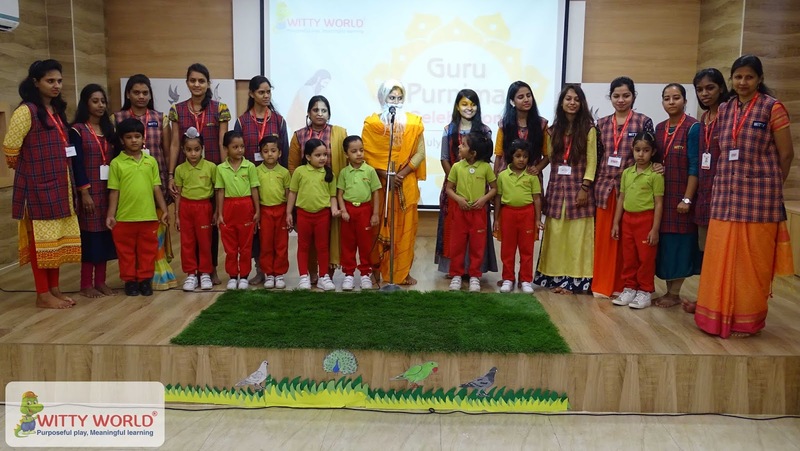 The students of Witty World also shared their feeling and respect in the form of thought. Keep at least something for future. 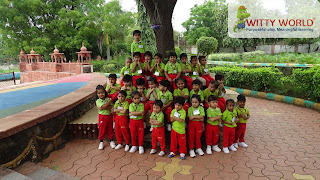 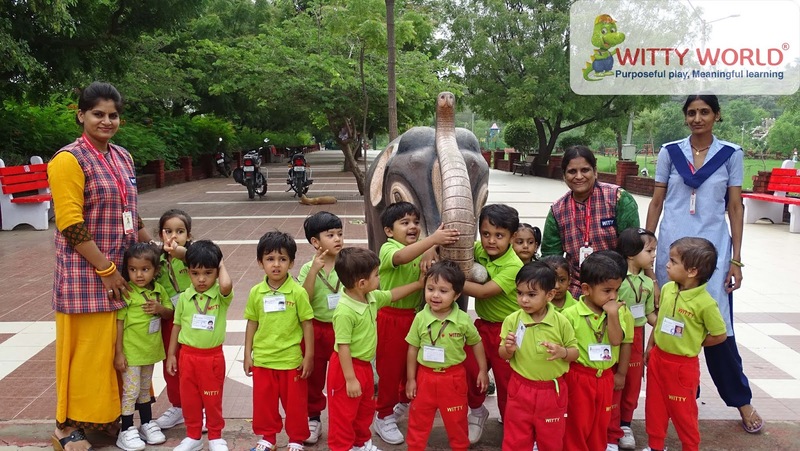 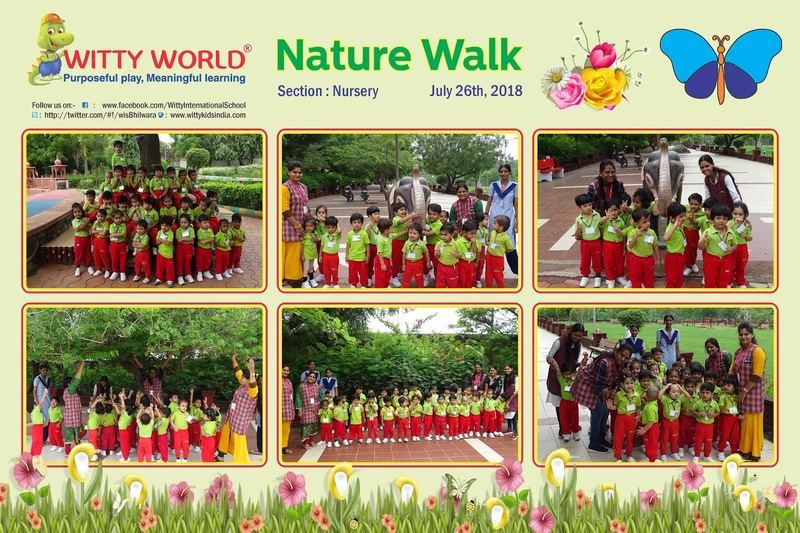 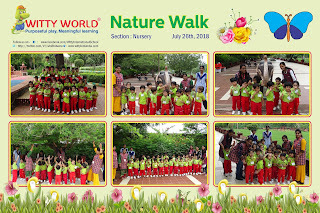 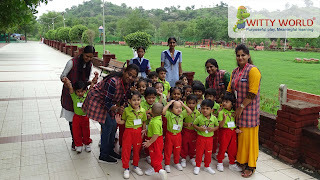 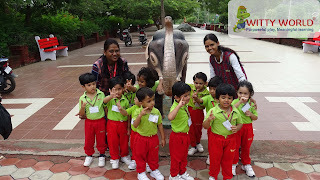 Children and teachers at Witty World, Bhilwara went for a nature walk to Smriti Van on Thursday, July 26, 2018. 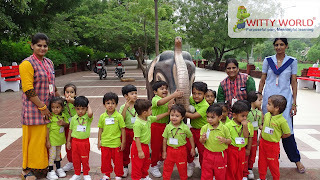 Children were happy to see greenery around them. 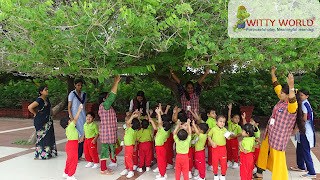 Teachers explained about tall and short trees, uses of trees, cleanliness to be kept at public places etc., Children were amused to see ducks swimming in the pond. 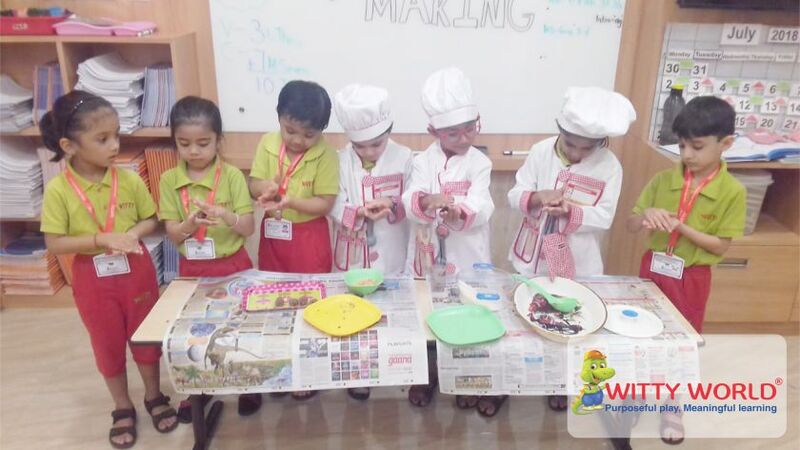 It was an easy, natural and captivating way of learning for the little Wittians. 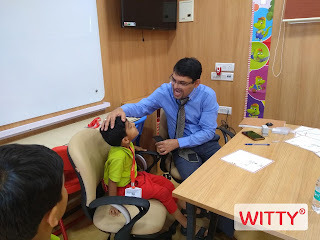 Brown smells like sweet lollipops. 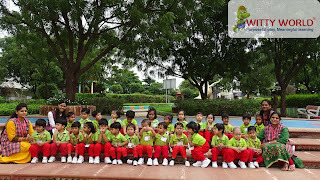 Brown reminds me of an excited and grumpy bear. 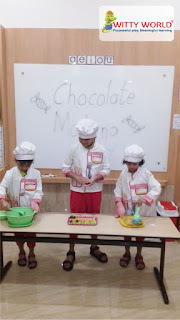 Brown is the colour of the earth, wood , warmth, sweet, stone, wholesomeness, healing and honesty. It also symbolizes the seasons of fall and winter. The combination of Red + Green gives us “Brown”. 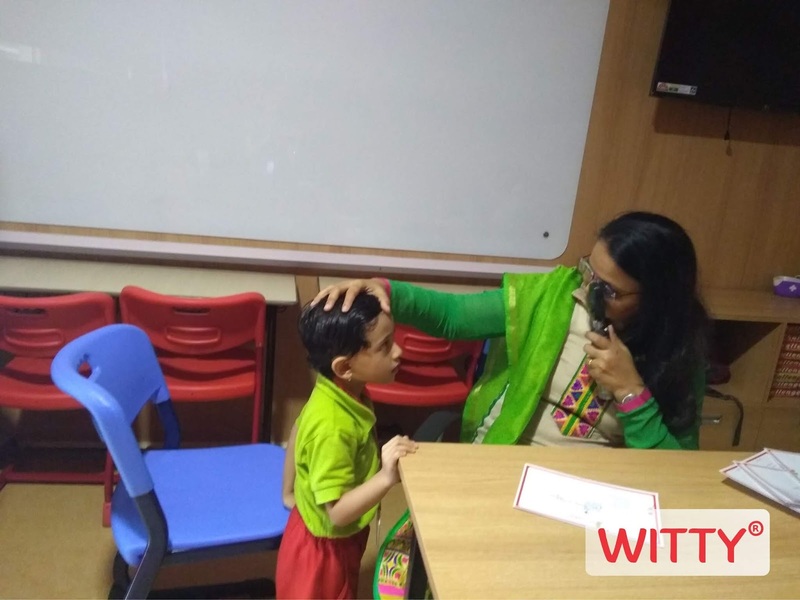 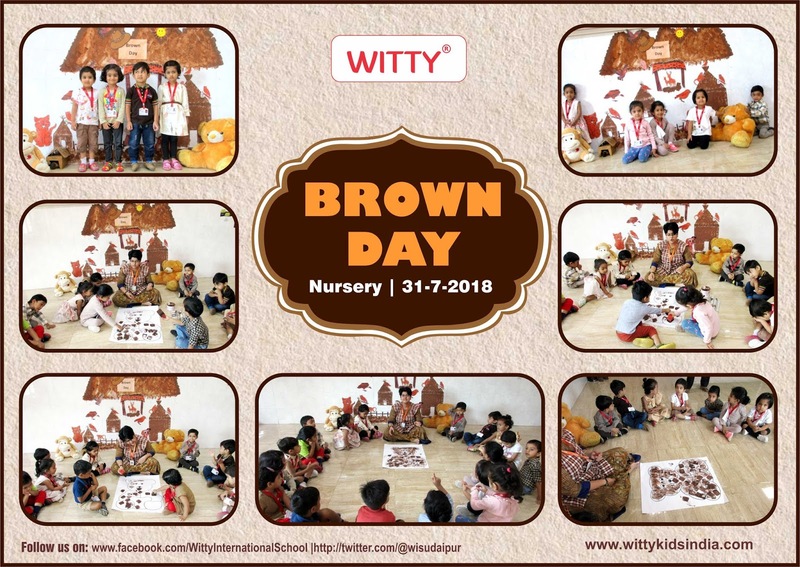 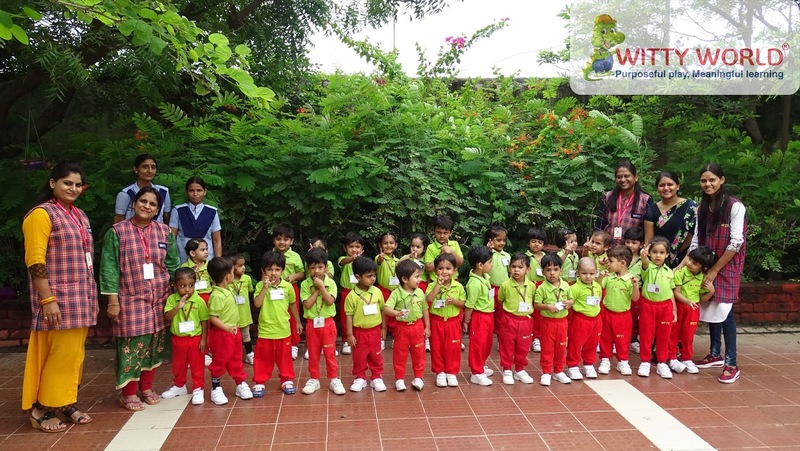 On Tuesday ,31st July ,2018, little toddlers of Nursery at Witty International School, Udaipur were introduced to the colour “Brown”. The teachers and the children came dressed in brown coloured clothes. The class was beautifully painted and a wonderful village scene was created by mountains, huts, muddy lane etc. The class wall was even decorated with some cutouts such as brown dog, cat, deer, vulture etc. Children enjoyed the brown colour sponge dabbing activity on a big bear cutout. 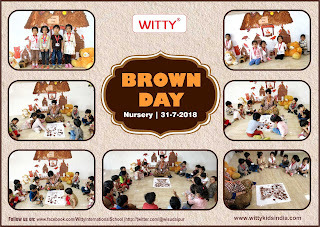 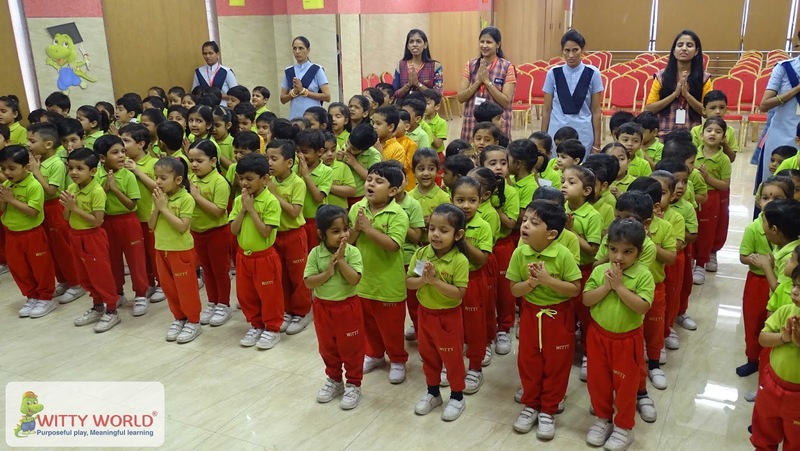 Thus, the children enjoyed the introductory session of brown colour. 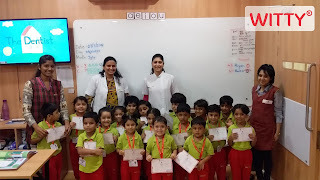 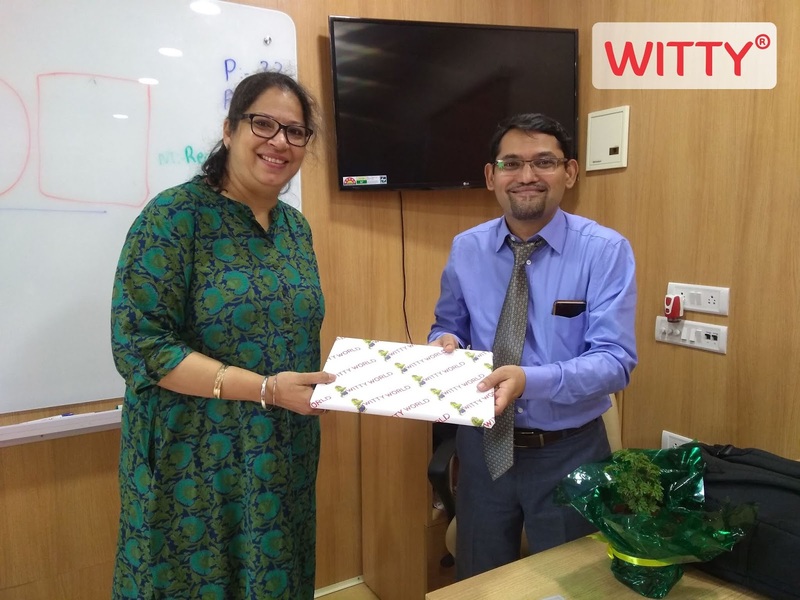 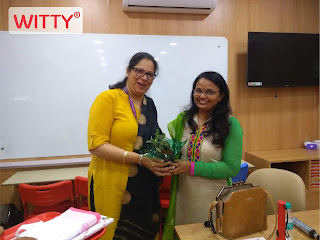 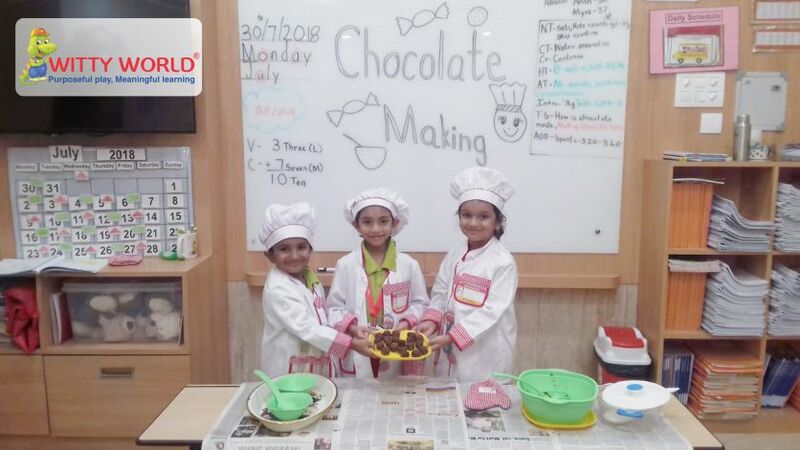 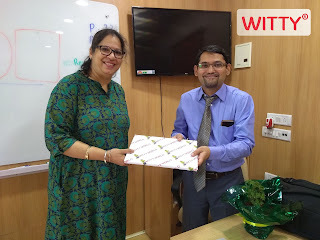 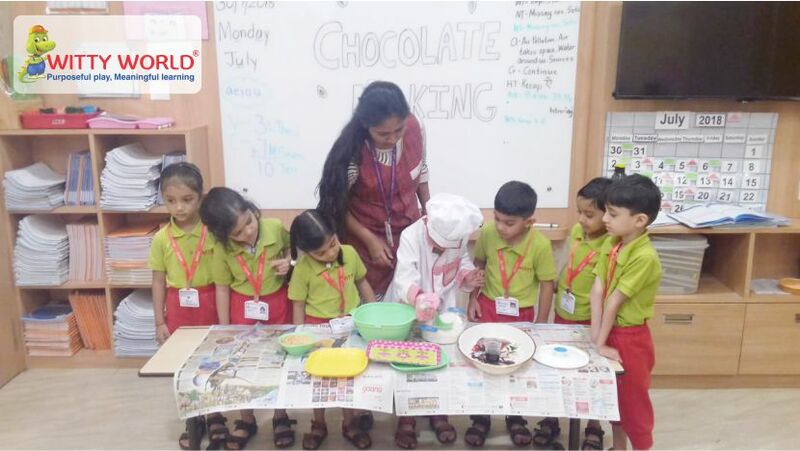 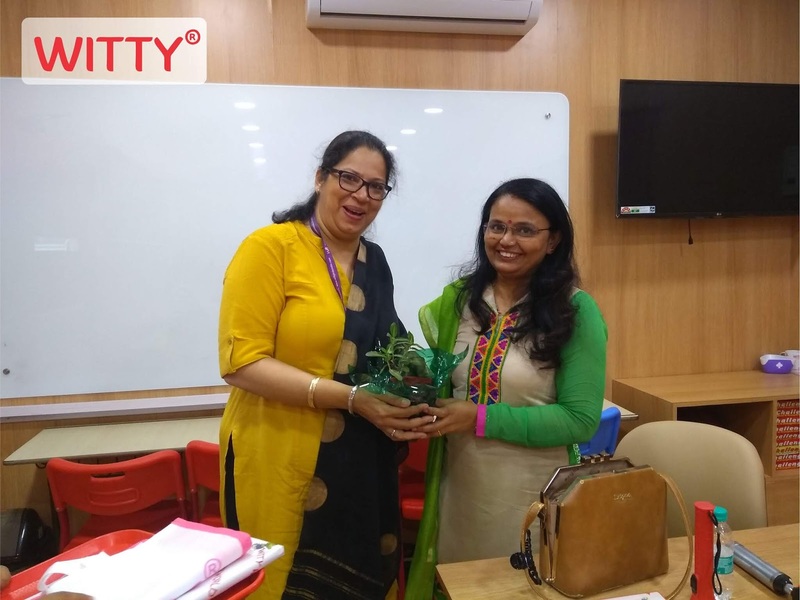 The Wittians of Sr.KG at Witty World, had fun making their own chocolates in the classrooms on Monday, 30th July 2018. 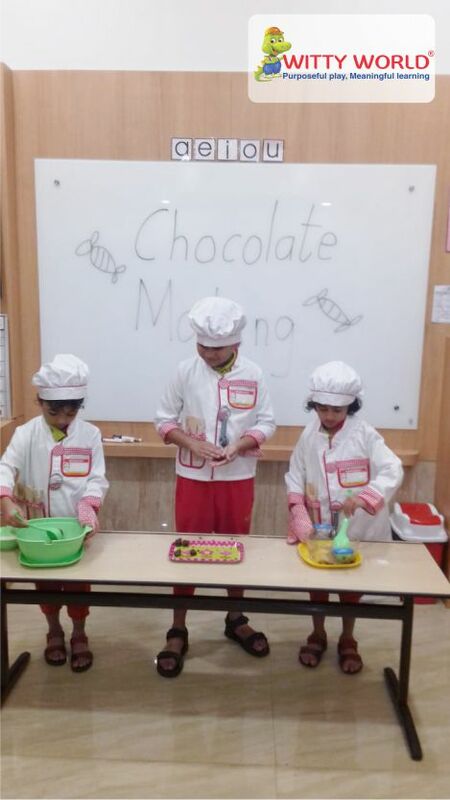 Children mixed biscuit crumbs, chocolate syrup and desiccated coconut to make chocolate balls.The hands on cooking experience was not only a fun sensorial experience but gave them an insight of ‘How things work?’ which was the theme of the month. Children were excited to relish the yummy chocolate balls made by them.